Poorna Jagannathan is at Grazia cover girl hunt. 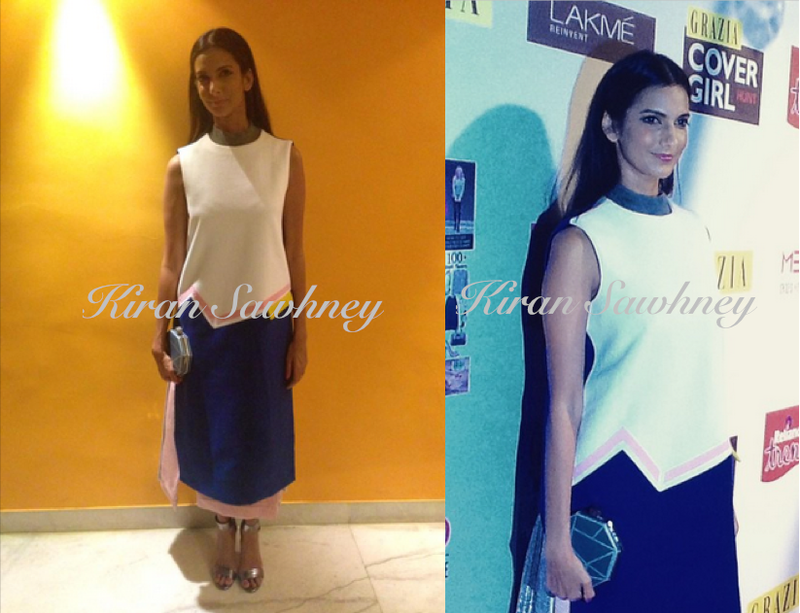 She is wearing Miuniku and held a clutch from Anusha Lalwani. She teamed it with silver sandals and left her hair straight open with a centre parting. We love the look. We have also seen Kalki wear similar dress from Miuniku.